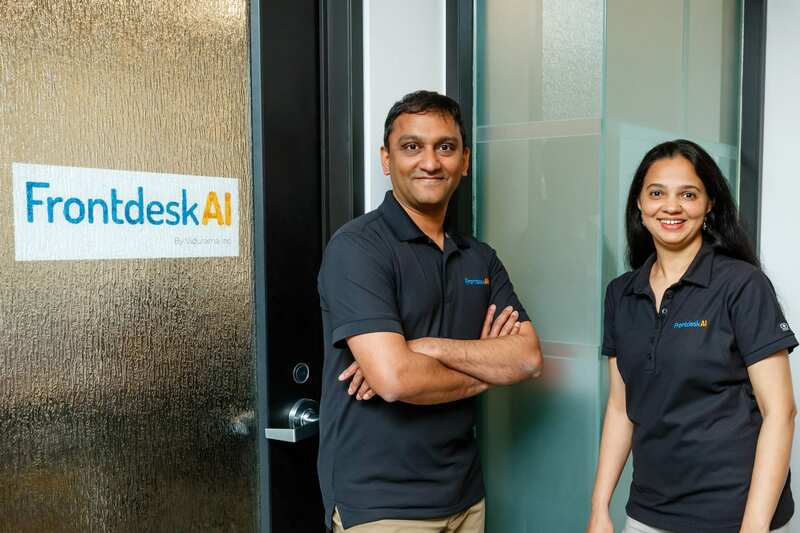 Pi Ventures, a leading venture capital fund supporting startups in the field of artificial intelligence, machine learning and Internet of Things, recently announced pre-Series A investment in Frontdesk AI, a Palo Alto and Bengaluru based startup that develops AI assistants for small businesses. Boosting the fastest adopted AI assistant in the wellness market, the startup raised an additional $2 million in funding, bringing its total seed funding to $4.2 million. It has earlier raised $1.1 million led by Pointe Capital and $1.1 million led by Speciale Invest in 2018. The startup aims to use the funding amount to accelerate product development, increase customer acquisition and investigate new vertical markets. Also as a part of the deal, pi Ventures’ partner, Abishek Surendran, will join the Frontdesk AI board that already includes BluePointe Ventures managing partner, Sandeep Sardana, and Speciale Invest managing partner, Vishesh Rajaram. The startup was founded in 2017. Frontdesk AI pioneers in creating AI assistants for small businesses that rely on appointment-based products and services for their revenue. Offering round-the-clock information and reservations for customers as a managed messaging service, the startup focuses on one thing and that is the small business. As the company says, their AI doesn’t predict weather, order groceries or answer trivia, but addresses simple, repetitive business tasks such as booking appointments, answering product questions, and remembering details about each and every customer. They are powered by a set of proprietary algorithms, a proprietary database of B2C natural language interactions, and knowledge graphs. Over time, they build a rich source of information about customer requirements, preferences and usage patterns. By tapping into the Frontdesk AI knowledge graph, the AI assistants run immediately on deployment. To create human empathy, Frontdesk AI provides a second layer of intelligence comprising human trainers to groom the AI assistant to speak in the style and tone of the customer brand. The AI assistant becomes independent over time building knowledge and experience from all its interactions. “We are laser focused on developing affordable and easy-to-use AI assistants for small businesses. With the additional funding and the partnership with pi Ventures we are now in a position to deepen our IP and competitive barriers to market entry,” says Srivatsan Laxman, CEO, Frontdesk AI. It currently serves the wellness market including the spa, salon and fitness industries. Frontdesk AI customer acquisition is currently growing 17% month on month, subscription revenue is growing 25% month on month, and churn is amongst the lowest in the industry at less than 3% per month. pi Ventures announced the final close of their first fund at ₹225 crore in September 2018. It had also mentioned its plan to invest in 18-20 deep tech startups in India in the next 3-4 years especially those in health-tech, logistics, retail, FinTech and enterprise sectors.